William Fitzsimmons is equal parts songwriter and psychotherapist, creating captivating music, which uniquely melds depravity, honesty, and autobiography into a counter-intuitive seamless whole. Fitzsimmons has created albums that are thoroughly themed and embossed with matters of family history, intimate disclosure, and bold confession, yielding rich folk music, ranging from the stark and acoustic to the voluminous and electronic. All the while reflecting William Fitzsimmons commitment to addressing what is always pressing, and yet all too often ignored. Fitzsimmons’ path into music came at the influence and education of his parents, both of whom filled his childhood home with a myriad of instruments, sing-a-longs, and theoretical instruction. However, far from being a mere pastime in the Fitzsimmons’ household, music was a communicative necessity between William and his parents, both of whom being blind, relied on the language of music to bridge the relational gap between themselves and a child who experienced the world entirely differently from them. 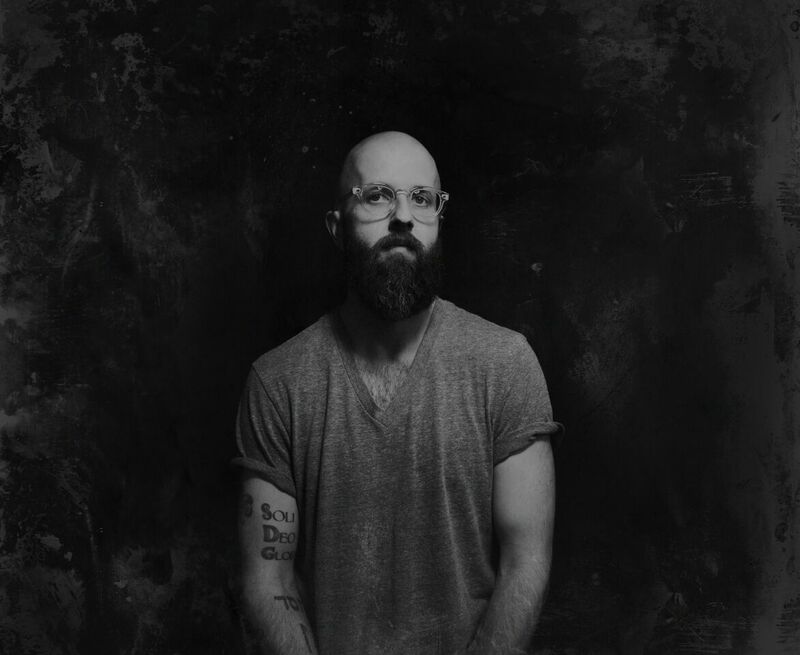 During his collegiate and post-graduate years, William Fitzsimmons left music behind in order to pursue a career in the mental health field; becoming a therapist was a long-held aspiration. Upon completion of a Master’s Degree in counseling, he worked as a therapist with the severely mentally ill for several years. It was during the later part of his training that he began to write songs as both a preparative exercise for his work in the psychiatric field, and as a personal catharsis to deal with his own long-standing psychological maladies. His first two albums, homemade and self-produced, were expositions on both his unorthodox upbringing and his family’s disintegration during his youth. Their understated presentation and overt descriptions of relational and familial disillusionment met quickly and potently with listeners. Very soon thereafter, still working within psychology, William found his songs spreading broadly and being featured on national television programs. However, the process of such revelatory writing and rumination was taking a gradual and heavy toll. During the making of the Goodnight album, Fitzsimmons saw most of the segments of his life begin to tear asunder. Fitzsimmons’ third effort, 2008’s The Sparrow and the Crow, was a detailed and afflictive retelling of the events surrounding his divorce from his wife of nearly ten years. Written as a personal apology to her, the album is a foreboding but genuine tale of misfortune and a reconciling of the darkest point of his life. It was named iTunes’ Best Folk Album of that same year. Following the release of Sparrow, William would take a moratorium from songwriting for over two years. Gold In The Shadow represents a welcomed musical departure, not from authenticity in writing, but in the field of focus. It is a return to his pre-music therapeutic passions, but with one eye now fixated on actual and optimistic change. It is ripe with personal elements, but also represents his first foray into external perspective taking; examining the lives and psychological struggles of those around him in addition to his own. It is an acknowledgement of the shadow self and the Todestrieb (Freud’s “death instinct”); but, even still and more so, an acceptance of hope. Lions is a musical reflection of the personal renovation that’s taken place since 2010’s Gold In The Shadow. Best summed up by Fitzsimmons himself.